The iconic Russian grappler Zangief returns to the streets in Street Fighter V, along with a new Brazilian fighter revealed courtesy of an accidental Famitsu post. After a string of new characters and returning faces from the presumably long-lost Alpha series, Zangief has now been confirmed for Street Fighter V. The Russian grappler is back with the Double Lariat and several other iconic techniques, along with the new ability to nullify attacks on command; Zangief’s new V-Skill “Iron Muscle” adds extra frames of “armor” where attacks will neither damage nor stun Zangief. The “Cyclone Lariat” V-Trigger is a variation of the Double Lariat attack, however the technique will also pull opponents into Zangief’s attack. 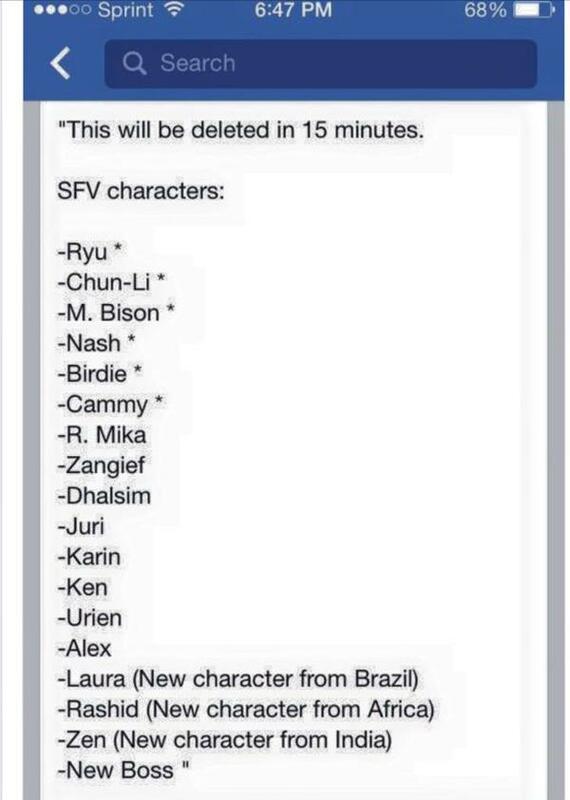 Zangief is the most recent character to be officially announced through Capcom, however an accidental post on Famitsu revealed another new character for Street Fighter V– Laura. Only a handful of screenshots were released- most of which have been removed- however the Brazilian fighter appears to have electric-based techniques. Street Fighter V will release for PC and PS4 in Spring 2016.